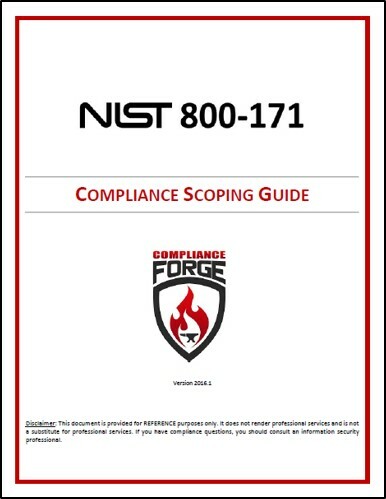 ComplianceForge has NIST 800-171 compliance documentation that applies if you are a prime or sub-contractor. NIST 800-171 is a requirement for contractors and subcontractors to the US government, including the Department of Defense. Its requirements are close to what is expected by the NIST 800-53 moderate baseline, so it is a relatively robust set of requirements for contractors that have to implement all the controls to protect Controlled Unclassified Information (CUI). The NIST 800-171 Compliance Criteria (NCC) is essentially a “consultant in a box” that gets you the equivalent of 80 hours worth of a consultant’s time to break down the NIST 800-171 requirements into real criteria for you to implement. The NCC product is considered a "consultant in a box" product to provide consultant-level guidance on how to comply with NIST 800-171. The WISP and DSP are program-level policies and standards that will provide you with evidence you need to demonstrate compliance. 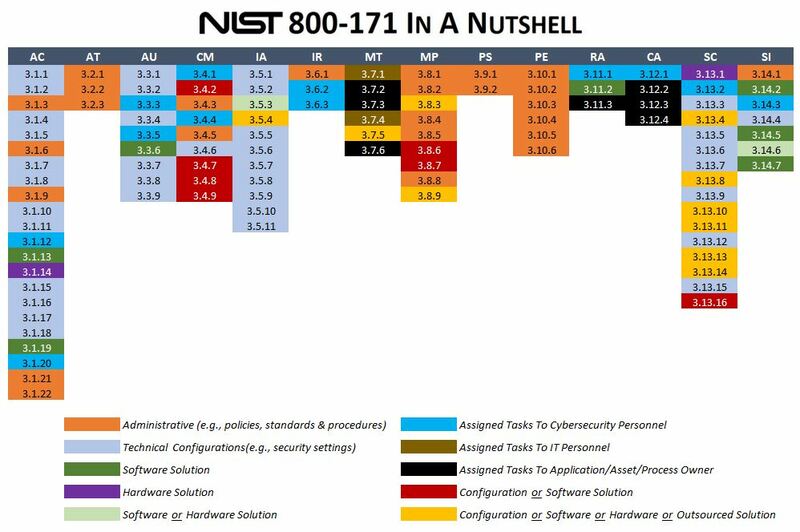 What do you get if you buy the NIST 800-171 Compliance Criteria (NCC) product? When you look at NIST 800-171 rev 1 compliance, it has some similarities to the Payment Card Industry Data Security Standard (PCI DSS). Not sure what CUI is or if you have CUI on your network? Go to the US Government's authoritative source on the matter, the US Archives CUI Registry at https://www.archives.gov/cui/registry.